Who could resist a Lamington Doughnut! They have chocolate, coconut and a hint of cinnamon. And well, they’re doughnuts! I have a bit of a weakness for doughnuts, especially when they are hot, fresh, and rolled in cinnamon sugar. Since doughnuts are deep fried they’re not the sort of treat I should indulge in too often. These doughnuts are a little healthier as they are baked rather than fried and a little bit smaller than shop-bought doughnuts. While thoroughly delicious, true doughnut connoisseurs will notice that these are a little cake-like and not quite the same texture as a real doughnut. I promise I will endeavour to find a more convincing baked doughnut recipe for you! These would have been a perfect treat for Australia Day which was last week. However, in the middle of back-to-school preparations and a birthday cheesecake I forgot to make a special Australia Day treat! So here it is now, better late than never; otherwise I may have to hand in my passport! I used the recipe from Joy the Baker. I didn’t significantly change the recipe – other than using cinnamon instead of nutmeg and shredded coconut in place of sprinkles – so it didn’t seem right to reproduce the recipe here. Instead I will refer you directly to Joy’s recipe. Enjoy! Posted in Cakes & MuffinsTagged Australia Day, chocolate, donuts, doughnutsBookmark the permalink. They look delicious so much better than store bought. This is the best idea I’ve seen all day. I’m behind in my blog visiting but I’m back on track. 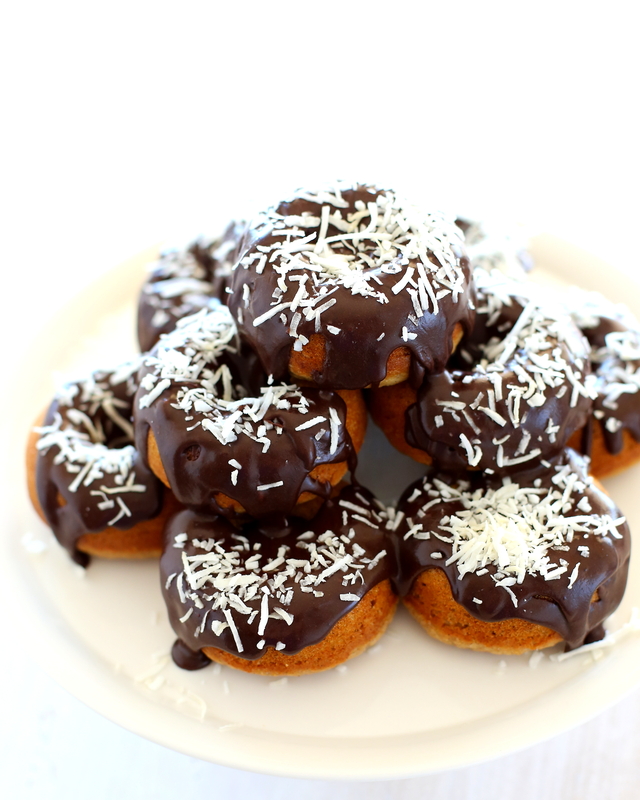 I love your lamington doughnuts!